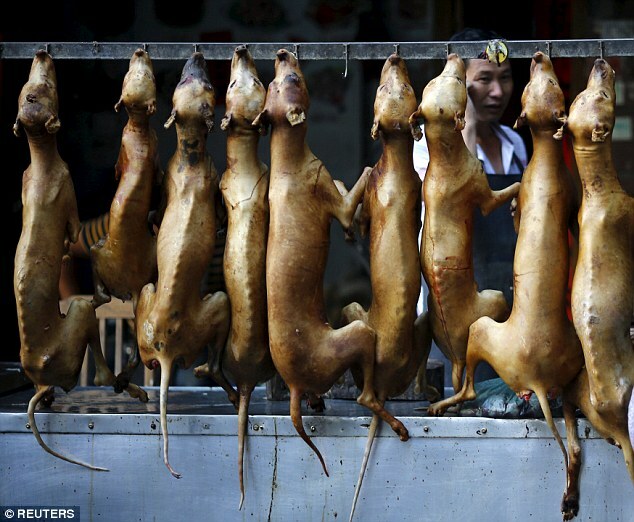 Beijing, June 21: An annual dog meat festival began in China’s Yulin city on Tuesday amid opposition from local and foreign activists, who have called for an end to the slaughter and consumption of the animals. Hundreds of people gathered in a local market of the city in Guangxi province where dogs were crammed into small cages ready to be sold, Efe news reported. From around 7.00 a.m. (local time), a heavy police presence of both uniformed and plainclothes officials could be seen amid palpable tension between festival participants and animal rights activists. A number of activists were among the crowd, with many attempting to speak to vendors and some buying dogs to save them from the slaughter. People were heard being quoted prices of between 300 yuan and 700 yuan (around $45-$106) per dog. Yulin festival is held annually during the summer solstice, with dog meat traditionally consumed during the summer months in countries such as China and South Korea because of beliefs that it wards off the heat. Residents and vendors in Yulin maintain the animals are slaughtered humanely while critics argued they are brutally killed, and sometimes even cooked while still alive. Dogs on Tuesday were slaughtered away from the gaze of reporters and activists, before being taken to restaurants to be cooked. Activists this month handed authorities in Beijing a petition with some 11 million signatures protesting the festival, which is expected to result in the deaths of thousands of dogs. Animal protection organisation Humane Society International has dubbed the event “a living nightmare, not a festival”. A number of international celebrities have also joined calls for the festival to be banned. In a recent campaign video released by the Animal Hope and Wellness Foundation, stars including Matt Damon, Joaquin Phoenix and Pamela Anderson called on Yulin to “stop the cruelty, stop the beatings, stop the burning, stop the hangings, stop skinning them alive”.